The post Next TUF to Feature Joanna Jedrzeczyk and Claudia Gadelha as Coaches appeared first on Caged Insider. Well that came out of nowhere. Or did it? 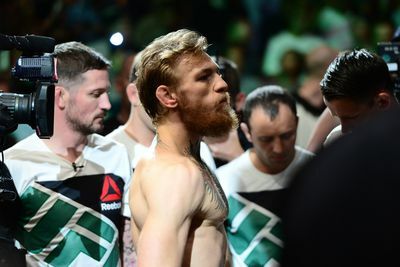 None other than newly-crowned interim Featherweight champion, Conor McGregor. That’s quite a shock to say the least — most would have expected 145-pound division champion Jose Aldo to be the other coach opposite “Notorious” to beef up their already-heated rivalry in the lead-up to their title unification fight, which could happen early next year. White was quick to point out that McGregor and Faber would not fight at the end of the season; however, with Aldo’s history of pulling out of championship fights, it’s easy to assume UFC is thinking of a contingency plan months ahead of time. That certainly was the case for UFC 189, as Faber’s Team Alpha Male stablemate, Chad Mendes, was pegged as standby for Aldo after he suffered a bruised rib. It was a wise decision because Aldo eventually pulled out of the bout because of the injury, leaving “Money” with an opportunity of a lifetime. Unfortunately, Mendes couldn’t capitalize on his golden ticket, as McGregor knocked out Mendes in the waning seconds of round two (see it). Of course, McGregor has a history talking smack about Team Alpha Male, taking every chance he can to talk about their diminutive statures. And when you couple that along with the recent backstage altercation between McGregor and Faber at the UFC 189 weigh-ins (see it here), it seems TUF 22 will have plenty of tense moments between the “The California Kid” and the man he dubbed a “crackhead” with the junior varsity wrestling. Injuries spoiling important fights is one of the hottest topics in MMA today. Just last week, Yoel Romero was forced to pull out of his co-main event with Ronaldo Souza at UFC on FOX 15: Machida vs. Rockhold on Saturday in Newark. The list of potential main events the UFC has seen go down the toilet within the last few years is too long to even detail. Even UFC president Dana White blamed the promotion’s financially troubled 2014 on injuries to top-drawing fighters. 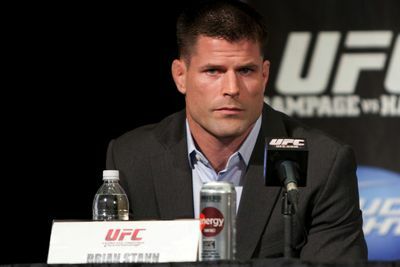 Brian Stann, a former fighter himself and current FOX Sports analyst, believes there is indeed a problem with injuries. He would just prefer to look at it from the athlete’s perspective — and how much money competitors stand to lose from being sidelined. Velasquez, 32, has not fought since defending his title successfully against Junior dos Santos at UFC 166 in October 2013. By the time he gets back in the Octagon against Fabricio Werdum at UFC 188 on June 13 in Mexico City, he will have been out for 20 months. UFC champions typically fight twice a year, so Velasquez probably missed out on three to four bouts — and paydays — in that span. It’s not Velasquez’s fault, nor was it the fault of other current and former champions who have been sidelined recently by injuries, like Dominick Cruz, Chris Weidman and Anthony Pettis. Of course, they want to fight and make money. Stann blames the culture of MMA and believes it’s up to coaches — and not fighters — to curtail too much intensity in the gym. Stann said just this week he spoke to a fighter competing at UFC on FOX 15 whose teammate is a UFC champ in the same weight class. Stann, who preferred not to disclose the fighter’s name, said that fighter told him he goes hard in sparring with his champion training partner multiple times per week. Which is where coaches have to step in, Stann said. The former WEC champion doesn’t want to point fingers, mostly because MMA is still a very new sport with a lot of evolving to do. But injuries need to be prevented and fighters won’t stop themselves from overtraining. Boxing training has grown and improved over the years. Very rarely do you hear about a big boxing match being called off due to injury. That’s mostly because coaches gear an entire training camp on one individual boxer and getting him or her to be in peak condition by the time the bout comes. Another part of it, though, is that boxers only have to worry about boxing. MMA fighters train in a host of other disciplines, including wrestling and grappling, and have to meld it all together. Wrestling training seems to be particularly hazardous in training camp. Eventually, MMA will catch up to boxing and training camps will be more efficient. Until then, though, Stann thinks fighters and coaches need to be wary of the long-term affects of going too hard in the gym. 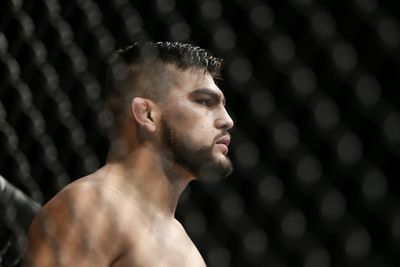 Kelvin Gastelum might be moving up in weight, but he’s also making other moves as well. The former UFC welterweight contender, who is headed to middleweight, will be one of the coaches on the second season of The Ultimate Fighter Latin America, along with Efrain Escudero, the UFC announced Tuesday night on its Latin American website. The show will begin filming this month and air in Latin America and on UFC Fight Pass in August. The finale will be held in Mexico in a city to be determined sometime in the fall. Both Gastelum and Escudero are products of the original TUF series in the United States. Gastelum is of Mexican descent and Escudero was born in Mexico. The two will not fight against one another at the finale, but it’s likely both will compete on that card. Gastelum and Escudero will each coach a team of lightweight and welterweight fighters from Mexico and the rest of Latin America. The competitors names will be released in the coming weeks. The first season, coached by Cain Velasquez and Fabricio Werdum, featured featherweights and bantamweights with Yair Rodriguez and Alejandro Perez winning, respectively. Gastelum (10-1), the youngest TUF winner ever (season 17), had his undefeated streak snapped by Tyron Woodley with a split decision at UFC 183 on Jan. 31. Gastelum, 23, missed weight by nine pounds before that fight and the UFC is forcing him to move to 185. Escudero (23-9) is coming off a unanimous decision win over Rodrigo de Lima last month. This is his third go-around with the UFC. He, too, is a TUF winner from season eight. The UFC release stated that the first season drew an average of seven million viewers per episode in Mexico and millions more throughout Latin America. On Tuesday, the UFC announced that its long-rumored fighter uniform policy deal with Reebok will officially take effect during International Fight Week on July 6, 2015.